A foundational premise of our democracy is that every person is entitled to outstanding public school education. In the 20 years that I’ve been part of the charter movement, one thing has remained a clear constant: our movement is comprised of an incredible diversity of people who feel a moral imperative to make good on that promise. We looked around, and we found that this promise was either eroding — or, frankly, didn’t exist — for most kids. Especially for the kids who needed it the most. And rather than waiting for someone else to solve the problem, we’ve each decided to do something about it. Some of us have been at this for a long time, some are fairly new to this movement. Most of us start with modest aspirations to help one school or one neighborhood. Whether you know it or not, or planned for it or not, you’re part of a growing and broader movement. Because as we make good on our promise, more and more kids are counting on us to create, launch, and sustain outstanding schools. They’re counting on us to grow. Wherever you are in your journey, your charter is a mandate to grow. Among the hundreds of boards using BoardOnTrack, boards that represent the interests of so many thousands of students and families, there are differences. But, one thing is a near constant: you are growing. You’re growing and the journey is both messy and challenging. The same is true for the movement as a whole. You may be an early stage charter school adding a grade each year until you get to full capacity or a scaling charter organization that has amassed strong proof points and is ready to embrace significant growth. Wherever you are in the journey, you feel a moral imperative to serve as many kids as possible, to deliver on that foundational promise that every child deserves a high-quality public education. Whatever stage you are at, your organization is growing and the complexity continues to grow as you go. The stakes are high and the scrutiny intense. It’s hard to evolve from a founding school leader to the CEO of a multimillion-dollar public enterprise. And here’s the thing that not everyone has figured out yet: the CEO’s job isn’t the only thing that changes considerably at each growth stage. The board should be changing, too. But, having worked with hundreds of charter school boards and CEOs nationwide, we’ve discovered a surprising pattern. Even within high-performing and rapidly-scaling organizations, governance capabilities typically don’t evolve at the same pace as the capabilities of the rest of the organization. With growth comes the need for constant, intentional evolution, at the highest level of your organization’s leadership. The board needs to evolve from a founding group of champions to a strategically assembled team with the skills, temperament and time to govern a multimillion-dollar public enterprise. What does that look like? And how do you even go about making that change happen in your charter board? Governing for growth requires the right people, resources, and supports. Governing for growth requires you to think proactively and strategically about how to have the right people, in the right roles, today — and what you’ll need to do to get it right for the organization tomorrow, next year, and beyond. It’s an evolution of how you’re leading, who you need to lead with you, and how you equip them. It’s about finding the right people, onboarding them effectively, and keeping them moving forward. What’s more, your governance team — the CEO, C-suite, and board — must have professional development, along with modern tools and supports, to strengthen your leadership capabilities. To empower you to govern for growth. Your trustees and C-suite alike must have the professional development opportunities that allow you to increase your skills and knowledge to match the increasing complexity of your role. You must have modern tools and supports that allow you to evolve from a group of reactive leaders, focused on making the operational work; to strategic leaders, focused on making the aspirational happen. I created BoardOnTrack for all of you. To help you develop and evolve as individual contributors and leaders and to put your collective strengths to work, strategically, for both your individual organization and the broader movement. To ensure that the governance team is not an afterthought, but is at the center of your growth. You have a weighty task and our nation’s kids are relying on you. Team BoardOnTrack is committed to partnering with you to bring you the tools, resources, and community to help you deliver excellence. And we’re supporting thousands of you, every step of the way. We know what’s working. We know what mistakes people are making. And we have a decade of data to show what’s working and what isn’t. In the coming months, we’re going to share what we’ve learned with the community, through our blog, our training events, and more. It starts today, with this manifesto for the movement, this call for us all to move towards governing for growth. Several thousand of you have already officially joined me in the crusade and have become BoardOnTrack members. Thank you for the wisdom, lessons learned, input, and inspiration. We’ve built some amazing things together and the movement is stronger for it! And to those who are not yet BoardOnTrack members, consider this an official invitation to join us on our journey as we govern for growth. 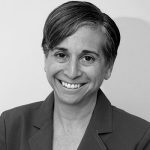 With more than two decades in the field, Marci Cornell-Feist is a national expert on charter school governance whose work has helped more than 500 charter schools nationwide. Marci created BoardOnTrack to implement the most effective strategies and practices of her many clients, and as a means of spreading this information to a wider audience of charter schools. She's also a co-founder of The Achievement Network, which helps schools use data-driven strategies to raise student achievement, and previously founded and led the charter school consultancy, Meetinghouse Solutions.